The Roadhouse Manila Bay is place to be if you love Blues music and great food and ambiance, this is where many Filipino musicians that are well-verse in blues play and enjoyed by their patrons. By featuring live music, mostly blues, seven nights a week, The Roadhouse Manila Bay has become a major place to visit when it comes to encouraging old blues-oriented bands to regroup and new bands to step forward. Last December 15 they celebrated this first ever anniversary and at the same time they released an album called Pinoy Blues Jam, which features band likes Dr. Crowley, Bleu Rascals, 69 Proof, Ian Lofamia Band, Sangre Blues Revival, Tarantulas, and Plug. Im sure you’ve heard this music, YMCA, Go West, In The Navy, Can’t Stop The Music, and I Am What I Am, to name a few! Well who not know them, they made this songs popular during the ere 80’s as Disco Music. 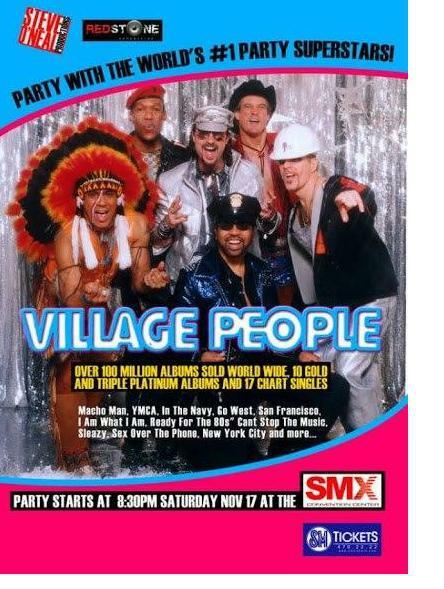 If you are not familiar with the Village People, they are iconic stature that created influential impact on our pop cultures. What’s unique about them is that they wear different outfits, like the Police Office, Construction worker, Big biker, Soldier, Native american and Cowboy, they ruled over the 70’s until some parts of the 80’s. Zendee Rose Tenerefe, 21 years old, hailing from General Santos, Philippines is the newest member of the Warner Music Philippines Domestic Artist Roster Being eliminated in one of popular talent show Zendee Rose Tenerefe aka Zendee decided to stay in Manila. As a singer she tried he luck that someday she will be discovered and make big so her hometown will be proud of her. She sang at any and every video kiosk in malls and performs for free to anybody who would listen he sing. Fast- rising singer Jayke Reyes launches her self-titled debut album called Jayke Reyes. The album contains the carrier single “KAY PALAD MO” ( a remake ), Perry’s Wheel, Paano Na Kaya, Sanay Pakinggan Mo, and We’re All In This Together and comes with a Minus One. She’s a daughter of Filipino immigrants in the US, born there, and somehow her blood being a Filipina can’t be denied because of her Morena or brown color of skin and that’s why she always wanted to pursue and achieve her dreams in the land where she does belong and fits in. It”s always Jayke’s dream to pursue a singing career here in the Philippines that’s why when opportunity knocks on her doorstep, She didn’t hesitate to leave L.A. California and flew all the way to Manila. Unlike any other Singing reality show on TV, ETC’s new show The Next holds no auditions and has no judges. What it does have is star power. Featuring Superstars Joe Jonas from the pop act The Jonas Brothers, rapper Nelly, pop legend Gloria Estefan and country star John Rich as mentors, the four travel across the U.S. to find and groom up-and coming musicians so that they can take the next step in their career. The Next: Fame Is At Your Doorstep is aired on Wednesdays @ 7PM beginning September 12. 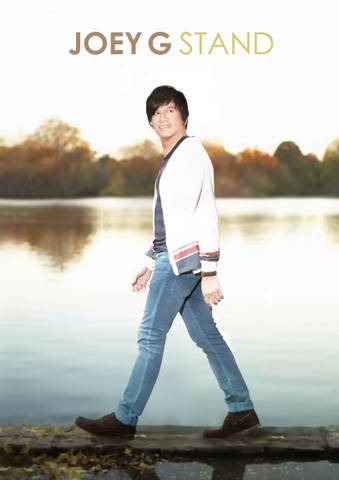 Hailed as one of the country’s most loved crooner, Joey G (Joey Generoso) never fails to tug the heartstrings of his audience with classic hits such as Forevermore, Tell Me and Set You Free. His voice has been the soundtrack to every heartbreak, celebration of love and everything else in between. In an industry where fame is fleeting and new acts appear and disappear in a blink of an eye, he has transcended generations and has continued to stay relevant. 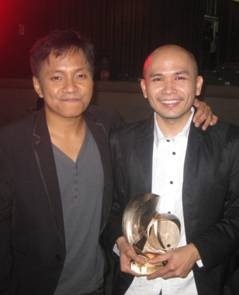 Ebe Dancel, former frontman of Sugarfree and now traversing the music world going solo under Warner Music Philippines, is a winner. We’ve always known that fact with his hit-making days with Sugarfree with smash singles as “Hari ng Sablay“, “Telepono“, “Mariposa” and “Kwarto“.